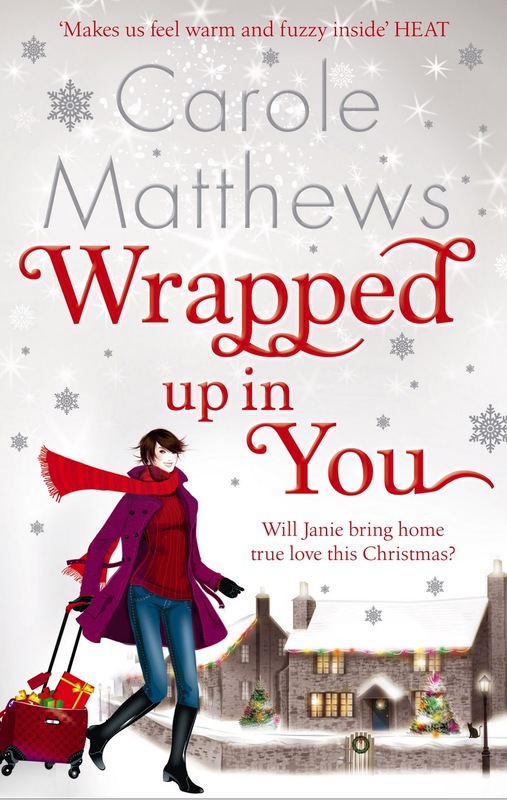 Thank you to Carole Matthews for the copy of Wrapped up in You. This is a wonderfully unique book. Don’t let the cover fool you – it isn’t your typical girl meets boy storyline. Yes, girl (Janie Johnson) certainly does meet boy, but he isn’t just any boy – he’s a man, a Massai Warrior man (Dominic). Carole Matthews has a wonderful style of writing, it’s descriptive enough for you to feel like you’re in the same room as the characters and flowing and paced well to keep you reading. I really enjoyed the short chapters, something which has been lacking in my life for a while now! I have to admit, I struggled with the storyline; it was too unrealistic for me. But then I live in a bubble of safety so just couldn’t relate to the situation. I just couldn’t see this happening in real life (and deep down was hoping Mike would feature more heavily in Janie’s life) but then who am I to stand in the way of true love? You don’t always fall in love with the people who want you to. There isn’t a set formula; it just doesn't work that way. So I guess in that way, it is realistic, but I just struggled to relate. That said, I did enjoy the book as a whole and it was an enjoyably easy read – I would certainly look out for future works of Carole Matthews. My favourite part of the book has got to be Janie’s cat, Archibald the Aggressive. He reminded me of my old cat, eager to take a chunk of flesh at any opportunity but incredibly loving when his tummy rumbles. This develops into something wonderful when Archie meets Dominic. Archie was constantly making me smile.